FAITH OF THE FALLEN took The Sword of Truth into a new decade and onto new heights of intense, thoughtful and meaningful fantasy while never losing sight of the need to tell a compelling and sweeping story. THE PILLARS OF CREATION continues that progression and is written so that new readers to the series can plunge into the richness of his world. 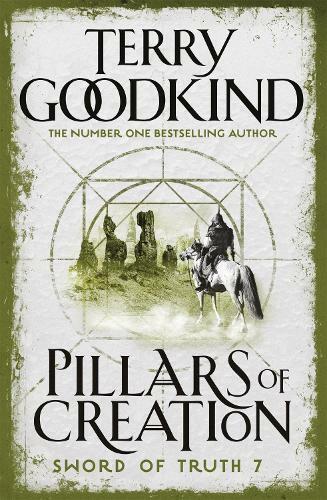 Terry Goodkind investigates new depths in his characters and is working to change fantasy and to make The Sword of Truth the dominant fantasy series of the first decade of the new millennium. The new novel introduces a new character, Jennsen, and takes Richard and Kahlan to the ends of the earth as they attempts to track down an unstoppable demon before it kills them and lays waste to the world.